Thanks a lot for the feature in the "10 Plus", much appreciate Stefano! Thanks a lot for the feature in the "The Road To Self Promotion", much appreciate Kim! Great composition. Love the street curving around. 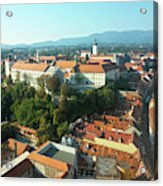 Gradec or Grič is the name for the old part of the city of Zagreb on the slope of Medvednica from which, together with Kaptol, the present day Zagreb was created. In 1242 it was Bela IV. 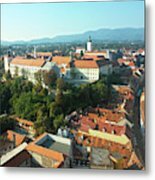 issued the Golden Bull, declaring the town a "free and royal town on Gradec hill in Zagreb". From 1242 to 1266 the town was fortified by ramparts and towers, and its shape and layout of the streets has so far changed very little. In the Middle Ages, a smaller number of streets were named: Middle (today Cyrilomethodska), Blatna (Demetrova), Mesarska (Matoševa), Duga (Radićeva), Popovska (part of Opatija). 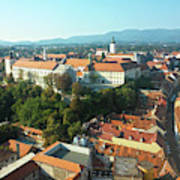 Gradec (Grič) is today part of Zagreb's city district - Gornji grad - Medvescak. 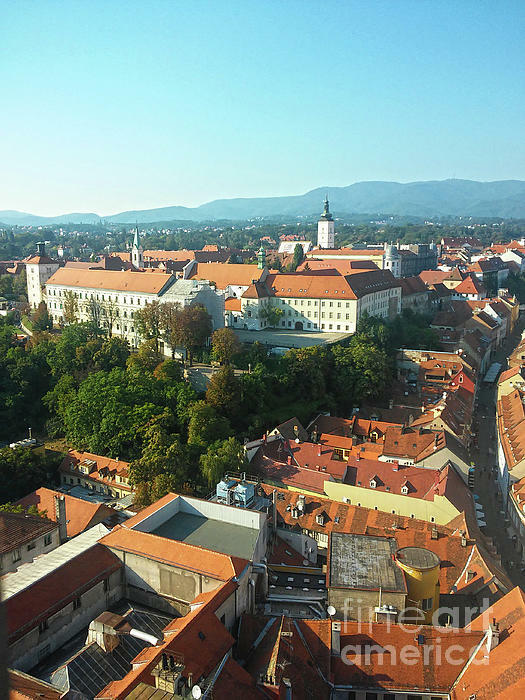 Here we have a wonderful view of Gradec and Sljeme hill in the background.